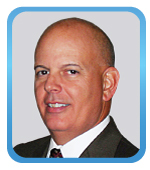 Anthony "Tony" Campbell oversees the executive staff and all employees as EKPC's top executive. He previously served as CEO of Citizens Electric Corp. (CEC), a transmission and distribution cooperative in St. Genevieve, Mo. During his tenure there, CEC's load grew 46 percent. He also worked in Illinois as vice president of Corn Belt Energy Corp., a distribution cooperative, and as manager of power marketing for Soyland Power Cooperative, a generation and transmission cooperative. Campbell has a bachelor’s degree in electrical engineering from Southern Illinois University. He earned a master’s degree in business administration from the University of Illinois. Don Mosier manages day-to-day operations of the co-op’s power production, power delivery and system operations, power supply, environmental affairs, and construction and engineering departments. He previously served as vice president of St. Louis-based Ameren Energy Marketing, which has a portfolio of more than 6,000 megawatts of generation. He holds a bachelor's degree in civil engineering from the University of Virginia and a master's degree in business administration from the Kenan-Flagler Business School at the University of North Carolina. Mike McNalley oversees the areas of accounting, finance and treasury, regulatory affairs and compliance, member services, information technology and supply chain. He came to EKPC from Detroit-based DTE Energy, America's eighth largest utility with subsidiaries that include Detroit Edison. 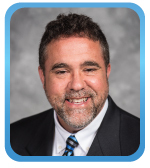 McNalley served in a wide variety of roles at DTE for 11 years, including chief financial officer and chief operating officer of DTE Energy Technologies. McNalley obtained his bachelor's degree in economics from Reed College. He received a master's degree in business administration from the Amos Tuck School at Dartmouth College. 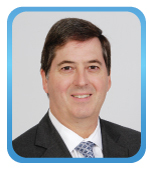 David Crews oversees the areas of power supply planning, load forecasting, PJM market operations, fuel supply, renewable energy projects, demand side management and energy efficiency. Prior to his arrival at EKPC, he served as manager of federal regulatory affairs at Raleigh, N.C.-based Progress Energy Service Co. He also served as the director of coal marketing and trading for Progress Fuels, and as director of power trading operations at Progress. Crews holds a bachelor's degree in civil engineering from North Carolina State University. He is a registered professional engineer in North Carolina. Craig Johnson oversees the operation and maintenance of EKPC's two coal-fired power stations, two combustion turbine generating stations and six renewable energy plants. He also manages major construction projects related to power production. He served as production engineer, project manager, plant manager and vice president prior to being promoted to senior vice president at EKPC. Johnson has a master's degree in mining engineering from the University of Kentucky. He is a registered professional engineer in Kentucky. Denver York oversees the operations of EKPC's portion of the Eastern Transmission Interconnection. 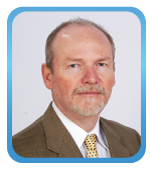 He is responsible for transmission planning, design and construction, operations, maintenance and supporting functions. Prior to joining EKPC, he worked as an engineer at Harris Corp. in Palm Bay, Fla.
York is a registered professional engineer. He holds a master's degree in electrical engineering from Georgia Tech and a master's degree in business administration from Eastern Kentucky University. David Smart’s legal career has taken him from several reputable firms in Kentucky, Virginia, Louisiana and Washington, D.C., to serving as chief of staff in the Kentucky Personnel Cabinet. From 2004 to 2005, he served as executive director in the Office of Legal Services for the Kentucky Environmental and Public Protection. Smart is a native of Lafayette, La., and attended Louisiana State University, where he earned a bachelor's degree in December 1975. He went on to attend the Louisiana State University Law School, where he earned his juris doctor degree in 1984. He is admitted to Bar associations in Louisiana, Virginia, District of Columbia, Tennessee and Kentucky. 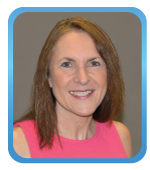 Ann Bridges manages the development and implementation of EKPC’s strategic plan and oversees governmental relations at the state and federal levels. She most recently worked at Owen Electric, where she served as vice president of corporate services. Before joining Owen Electric, Bridges spent 16 years with EKPC in regulatory services, accounting, procurement and internal auditing. She started her career in public accounting where she worked on the audits of EKPC and several member distribution cooperatives. Bridges is a certified public accountant and holds a Society for Human Resource Management Certified Professional designation. She received a Bachelor’s Degree in Accounting from Georgetown College. 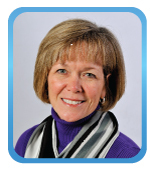 Mary Jane Warner oversees generation and transmission engineering, as well as EKPC’s design, construction and project management teams. During her career, she successfully directed a major generating unit retrofit. She has also managed production engineering and construction, and led Power Delivery planning, design, permitting, siting, property acquisition and construction. She holds a bachelor's degree in electrical engineering from the University of Kentucky, and she has served as Chairman of the Kentucky River Authority. Jerry Purvis oversees air quality, natural resources and production labs, as well as environmental compliance for EKPC. He is responsible for ensuring that EKPC’s generating and transmission assets meet all state and federal regulatory standards under the National Environmental Policy Act and Environmental Protection Agency compliance standards for air, water, waste and oil. He has a bachelor's degree in chemistry and a master's degree in business administration from Morehead State University. He also has a bachelor's degree in chemical engineering from the University of Kentucky. 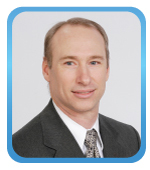 Tom Stachnik oversees treasury, financial planning and analysis and risk management at EKPC. Prior to coming to EKPC, he served at Brown-Forman Corp. in Louisville, where he managed relationships with rating agencies, developed hedging strategies, negotiated debt arrangements, executed capital markets strategies and much more. Stachnik graduated from the University of Illinois with a bachelor's degree in chemical engineering and from the University of Chicago, where he received a master's degree in business administration with high honors from the Graduate School of Business. 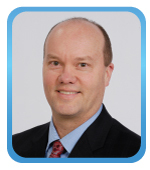 He holds the Chartered Financial Analyst and Certified Treasury Professional designations. 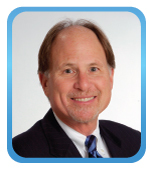 Barry Lindeman oversees all employee benefit programs, compensation, training and recruitment while managing EKPC's team of Human Resources professionals. 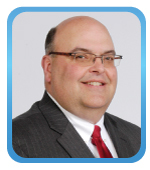 Prior to coming to EKPC in 2015, he served as director of human resources at Cardinal Hill Rehabilitation Hospital in Lexington. He holds a bachelor's degree in health services from the University of Kentucky and a master's degree in business administration from Eastern Kentucky University.